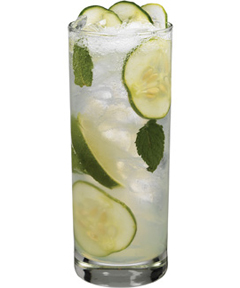 Place cucumber in the bottom of a tall/collins glass filled with ice. Combine rum and Master of Mixes Mojito Mix. Stir to lift cucumber off bottom of the glass.